Bailan is the quietest area on the west coast of Koh Chang, between Lonely Beach and Bang Bao. It's a perfect location for people who want to be close to the noisy parties of Lonely Beach but want to sleep in peace in a relaxing area or for people who want to be close from Bang Bao diving centres. In both cases, you will need a scooter. The beach is quite small but extremely quiet. It's is an artificial sandy beach, the sand has been added and you can see it at low tide with more rocks than sand. The sandy part starts in front of Mercure Hideaway Resort to the south end, called Lisca Beach, which is the name of a very nice beach bar-restaurant. The centre of the village is as quiet as the beach and there aren't so many activities than other areas. 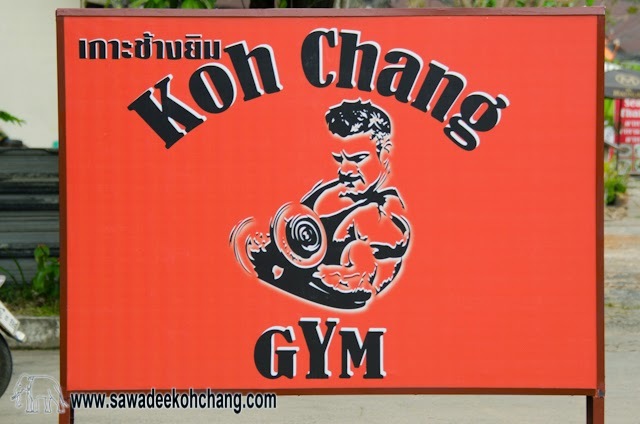 There are few good bars and restaurants, a Thai cooking school, a herbal sauna and a Thai Boxing camp. At the south end of the beach, there is Treetop Adventure Park which is one of the attractions you can't miss, an eco-friendly park with zip lines, rope paths, swings, on top of trees. A lot of exercises but you will have a lot of fun. There are good places to stay like Mercure Hideaway Resort with its beachfront, big swimming-pool, rooms, pool-villas and Spa. Faye Orchid Garden Resort (ex Kwaimaipar Orchid Resort) and Harley Moon Hideaway are also nice boutique resorts with a pool as well as Elephant Bay Resort. Cheaper, there are Lazy Republic, Tarzan Island Resort and Restaurant with live music in the evening, Bailan Bay Resort, Rock Inn, Bailan Beach Resort, Jungle Garden, Happy Turtle, St Tropez Resort, Green Cottage, Vanalee Resort, Bailan Hut, Lucky Gecko Garden, White House and Kohchang 7 Guesthouse. You won't find one 7/11 or Tesco Lotus supermarket but on the main road, there are small shops selling the basic you need. If you want to buy good quality and comfortable hammocks, go to Hammock Hut, in front of Jungle Garden. They are selling different sizes and colours of hammocks, all made in a small village in the north of Thailand.